Inside factory farms, they’re afforded none of these basic animal rights. Nearly 1.5 billion pigs are killed for food every year. They live their lives in horrible, overcrowded pens as if to hide their incredibly loyal, friendly, and playful personalities from the light of day. Off the farm, pigs are often compared to dogs. They’re incredibly friendly, loyal, and smart. Pigs are playful. They like to lie in the sun and sniff around the yard like everyone’s favorite furry companion. Traditionally, many people would never go out of their way to call a pig clean, but in their natural habitat, pigs are very clean animals. They keep their sleeping area poop-free, that is, when they’re given enough space to do so. 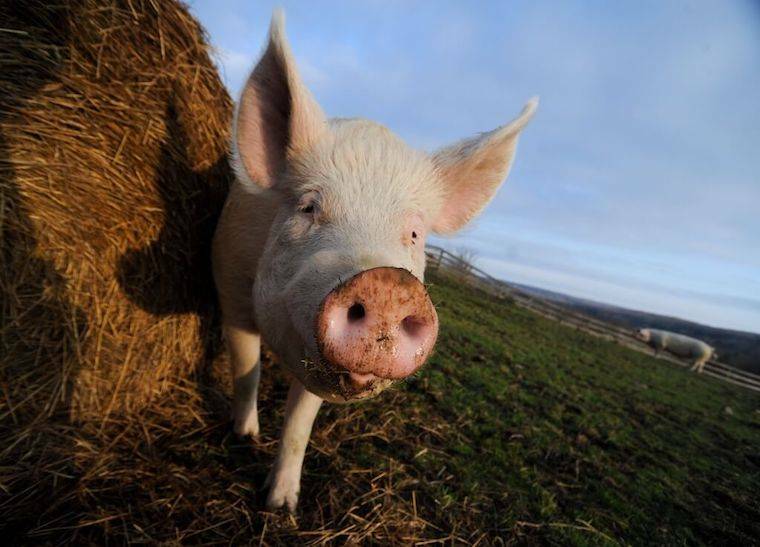 Pigs also have the dubious honor of serving as a slur for people who behave in selfish, inconsiderate, and cruel ways – which is ironic given the cruelty and selfishness that humans are imposing on pigs. There are many sayings featuring pigs that also illustrate how poorly these intelligent animals are considered. “To put lipstick on a pig” is one example, which is usually taken to mean that you in vain try to make something ugly pretty. We at Sentient Media would like to point out that this saying is illogical. Pigs are already beautiful. Putting lipstick on a pig doesn’t make it any prettier, so the saying should instead be taken to mean that you can’t beautify that which is already beautiful. Piglets are separated from their mothers after 10 short days, while their mothers lie in crates so small they can’t even turn around, let alone roam freely. 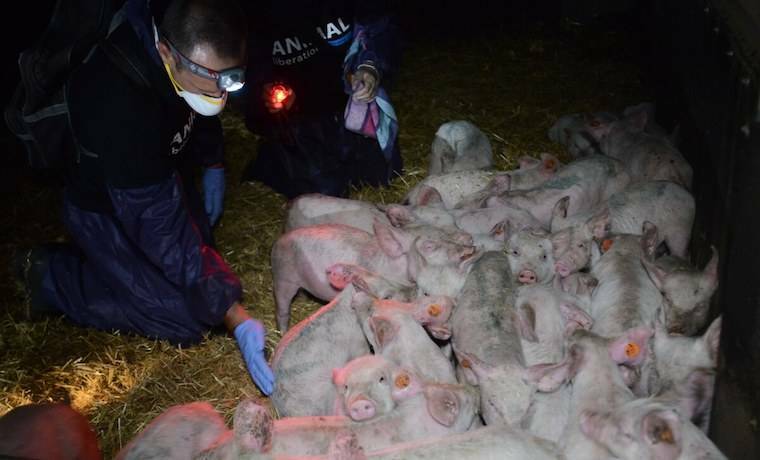 Between 5% and 35% of piglets die within the first three weeks on factory farms. They are crowded into metal-barred pens with concrete floors, where they live–cold and afraid–until they’re about 100 pounds. Often, there are up to 30 animals in one pen. Mother pigs, called sows, give birth repeatedly for up to four years before they’re slaughtered, which puts immense stress on their bodies and minds, never releasing the mother pig from the cycle of giving birth and seeing its children taken away from her. The problem with overcrowding most cruelly manifests in transport to the slaughterhouse. Pigs grow to upwards of 300 pounds before they are herded into the back of a truck and sent to be killed. 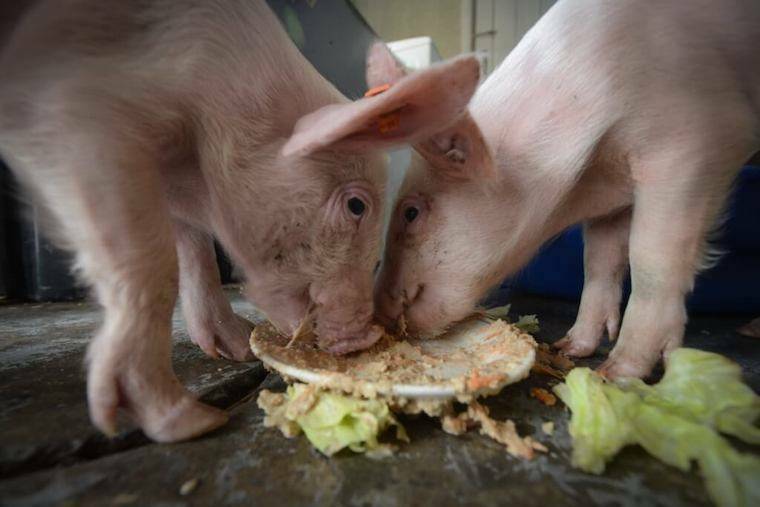 It’s hard to forget how many pigs are killed every day after living miserable, painful lives. It’s even harder to get the atrocities committed on factory farms to go away. Part of the problem is that despite how much we hope for the best in other people, factory farms won’t simply disappear overnight. Celebrating the Year of the Pig means standing up for pigs ourselves. Cut out meat, join your local animal rights organization, share this story with someone that needs to know how pigs are being treated on factory farms.